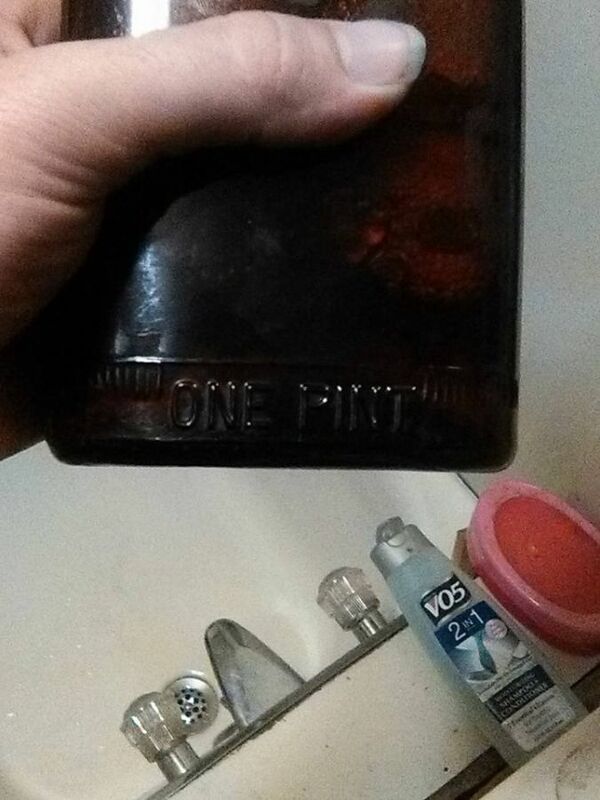 I found this bottle in a garage awhile back sitting up on the wall. 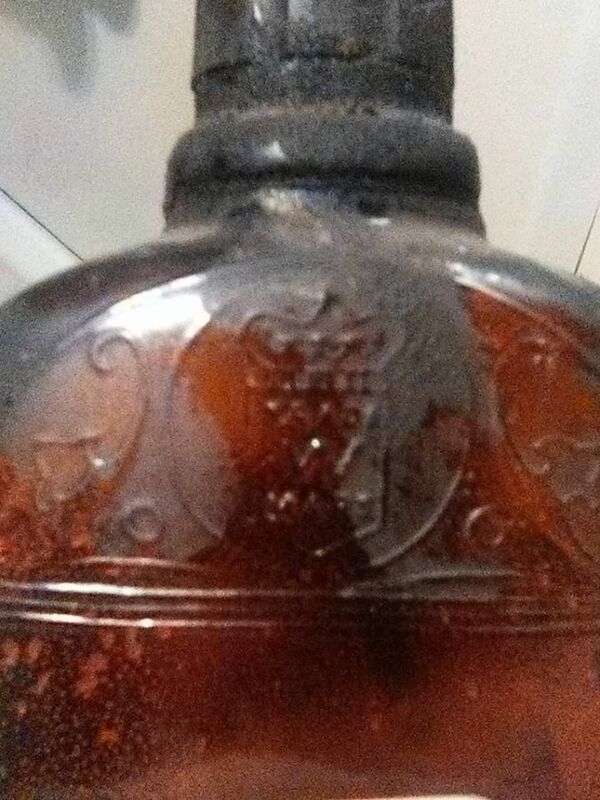 As shown in the pictures; It is a brown/auburn/burgundy colored bottle, It has what appears to me as Crown and Shield with Trade W Mark, However E&K letters of aforementioned Trade&Mark aren't clear. 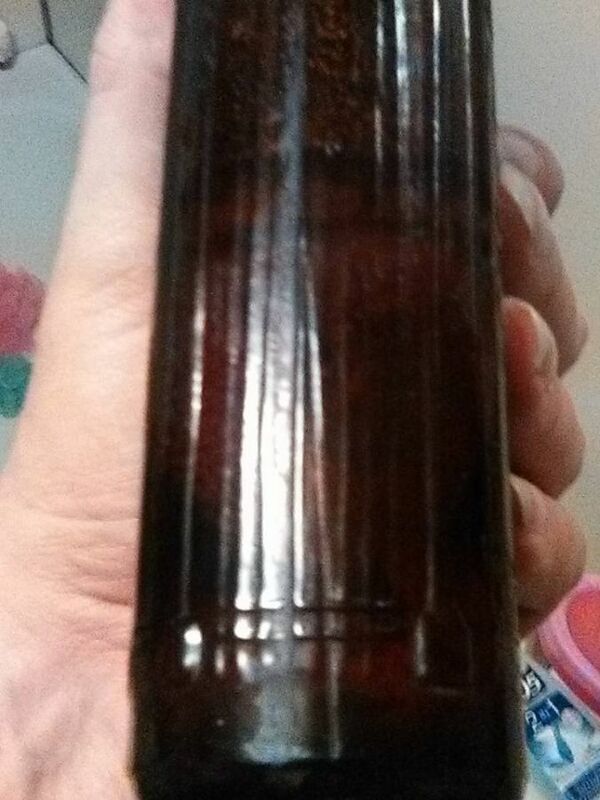 It has the Federal Law Forbids Sale or Reuse of this Bottle, it also has the ONE PINT at the bottom of the face and a 13 on the reverse, on the Direct bottom is D23 65-6 (Which I know doesn't help but I am listing as much info as I can) There looks to be another Trade mark type thing to the left of the numbers/letter. From what I can observe is what I believe to be a letter M in the middle of a Hexagon and what appears to be a ring. 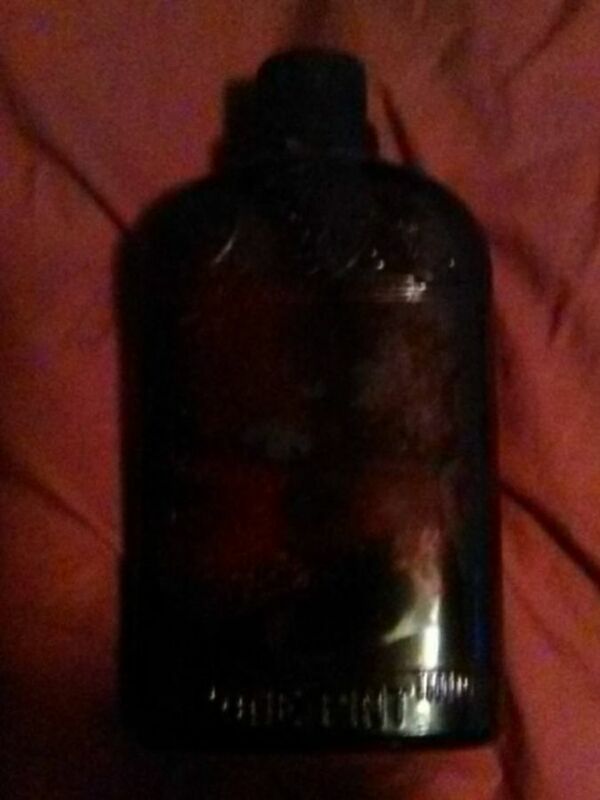 As for the bottle it seems to have a detailed scrolling Window? or Pillar? lines on the sides and the seems on the side do not go vertical in a straight line but curve as they reach the bottom. 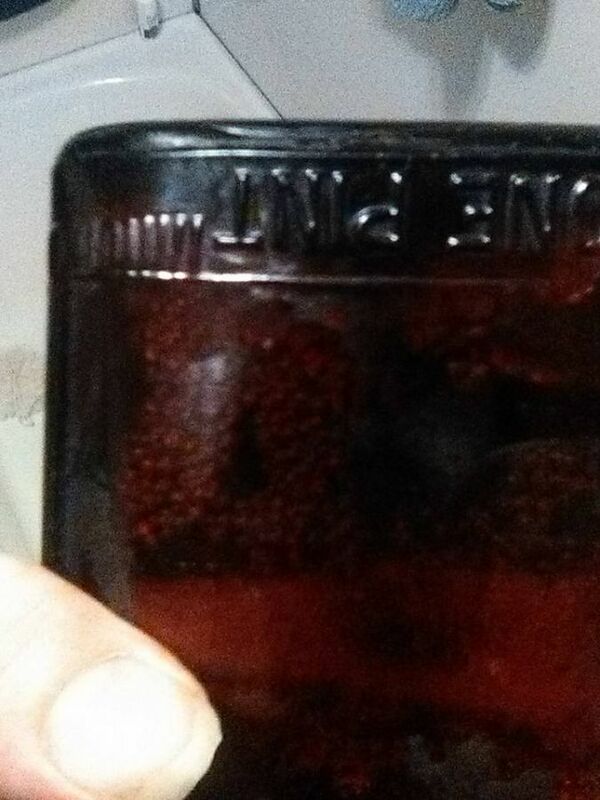 Inside the bottle an unknown Liquid is present at the bottom as well as a solid mass just above the liquid. The liquid seems to have plenty of air? bubbles in it and the liquid seem to be very fluid when warmed by my hands but thicker when cold. I can tell you that from research I have associated the D-23 mark with the Hiram Walker company. 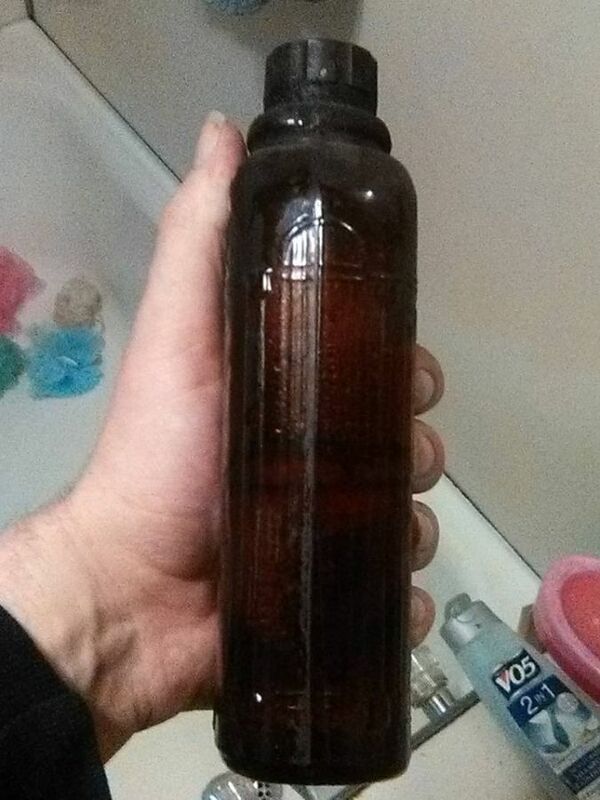 As to what product was in your bottle, I do not know. It would take further research. 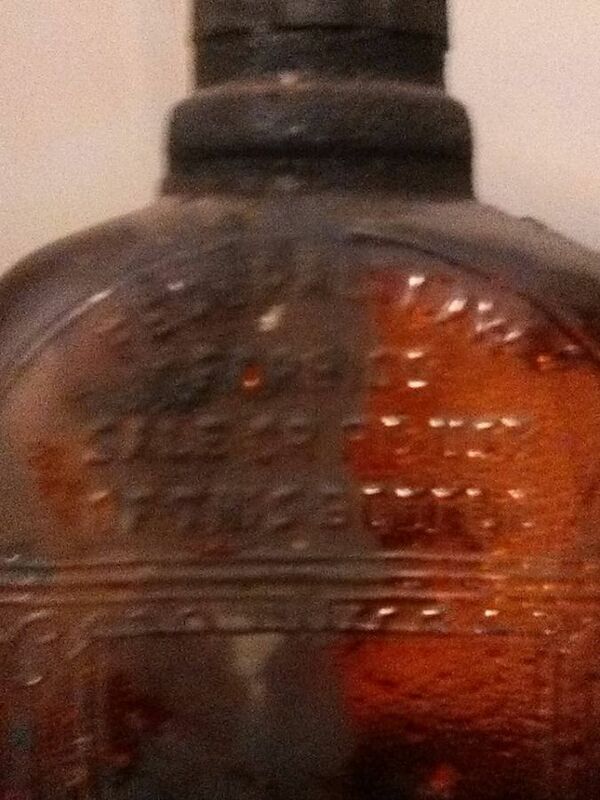 The "Federal Law.." embossing implies that your bottle contained hard liquor of some sort. Likely but not definitely a whiskey. One can guess that your bottle is of 1960s vintage although be careful to draw any definite conclusions based on the "65-6" marking. Okay thank you very much. I was trying to look things up on the secondary trade mark I spoke of, however nothing was quite right and I had noticed that a lot of marks had unknown makers to them so I concluded that there might be some unknown mark as well. 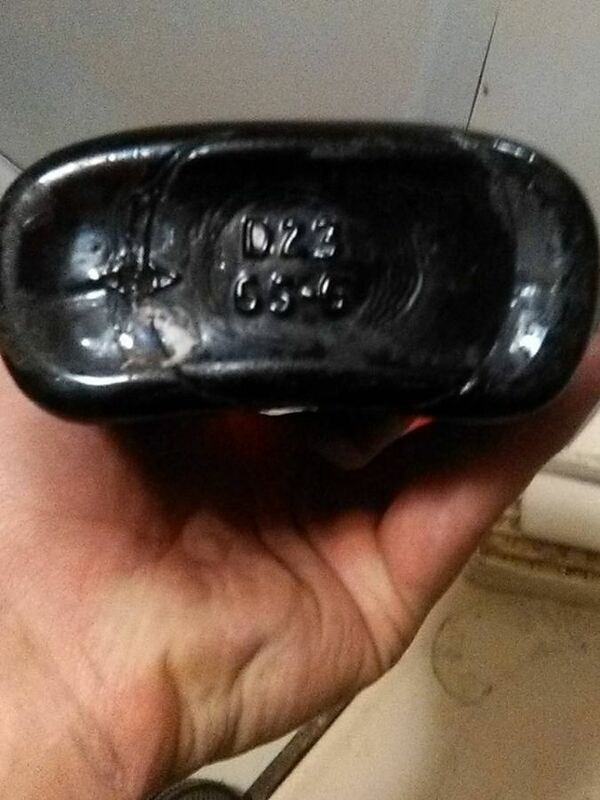 It also doesn't help that whoever stamped the D-23 65-6 on the bottle also cut the secondary mark, as from the looks it appears as if someone tried scratch away the proof mark of the bottles maker. Also do you know if it is worth anything I am guessing not much due to age, (and sell-able if the federal law label still applies.) but considering how much I looked I couldn't find a similar image I am unsure.